The pattern is designed by us in our devon studio and the fabric is all printed in the UK. All of our lampshades are rolled by hand in our studio. 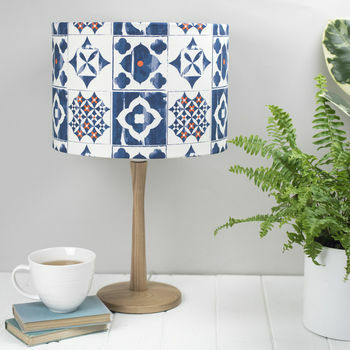 Our 'Cadiz' fabric range features five fabrics - Marisol, Paloma, Alta, Isabel and Safiya.